After one of the world’s most expensive elections, Peter O’Neill will lead PNG for a second term. But with questions surrounding the vote and O’Neill now under threat of arrest, how successful was the poll? Papua New Guinea has recently concluded its ninth general election. With the results in five constituencies yet to be declared, parliament met on Wednesday 2 August and the incumbent prime minister, Peter O’Neill, was re-elected to head a new coalition government. 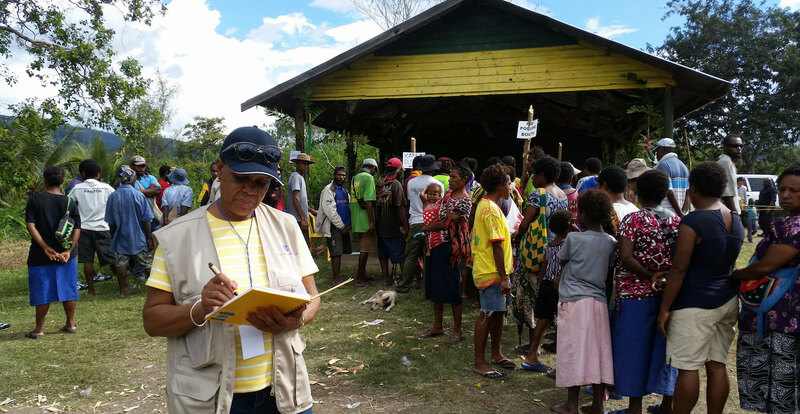 Teams of domestic monitors, trained and coordinated by the Australian National University’s State, Society and Governance in Melanesia Program, observed the election in 35 electorates across the country, much as they did in 2007 and 2012. Their studies suggest that the problems encountered in 2017 were even greater than those reported in the flawed previous two elections. Even the international observers, who are seldom exposed to the more serious irregularities, expressed concerns over the conduct of the election. An interim report by a commonwealth observer team called for a thorough review of all aspects of the election process immediately after the election. Elections in Papua New Guinea always face problems. For a start, it is difficult to compile electoral rolls, partly because of logistics and partly because interested parties, sometimes in collusion with local electoral officials, seek to manipulate the rolls to eliminate names in areas where they do not expect to gain votes and to add fictitious names (or retain the names of the deceased) in areas of candidates’ ‘base support’. Consequently, there are always large numbers of people denied a vote because their names are not on the roll. Yet, not infrequently, more votes are cast than the estimated eligible voting population, and there are allegations that illegitimate ballots were stuffed into ballot boxes, sometimes with the connivance of election officials. This often leads to disputes, confrontation and sometimes—especially in the volatile highlands—violence. More than a dozen election-related deaths were reported during the 2017 poll and property was destroyed. Secondly, although in the past at least one MP has lost his seat over charges of making payments to gain votes, the practice is widespread. Papua New Guineans refer to elections in terms of ‘money politics’. Thirdly, although, nominally, voting is by secret ballot, with separate lines for women voters, candidate supporters often watch how voters cast their ballots, and ‘bloc voting’ is not uncommon. Sometimes bundles of ballots, completed in the same hand and for the same candidate, with or without the polling official’s initials, turn up in ballot boxes. On occasion, full ballot boxes have been hijacked or burnt. Disputes over alleged irregularities may go to a court of disputed returns, but decisions can take some time. All these problems were evident in 2017. Electoral Commissioner Patilias Gamato nevertheless described the election as”successful” and “generally peaceful”, except for parts of the highlands. Voting took place over four weeks commencing 24 June. As usual, counting was delayed by protests from losing candidates and by polling officials claiming they had not received their allowances. Writs were scheduled to be returned by 24 July but, with only 80 seats declared by then, the date was extended to 28 July. An application for a further extension was turned down. There were suggestions that declarations were being deliberately delayed in some seats in which Peter O’Neill’s Peoples National Congress (PNC) appeared to be losing, to ensure that the PNC had the largest number of elected MPs and so would be invited to form government. Parties do not play a major role in political campaigning in Papua New Guinea, but they become important in the process of coalition building in the period between the end of voting and the first sitting of the new parliament. In late July party leaders began to build potentially winning coalitions. O’Neill and his PNC MPs set up camp in Alotau and were joined by Sir Julius Chan’s Peoples Progress Party (PPP), the Social Democrat Party (SDP) and the United Resources Party (URP). Initially The National Alliance (NA) set up its camp in Kokopo and a revived Pangu Pati camped in Goroka, but later Pangu joined the NA in Kokopo. Some other minor parties had MPs in both camps. Both camps sought to hold their parties together (though the URP split) and to recruit the independents—there fewer independents returned than in other recent elections—with the usual claims of attempts being made to bribe or kidnap some of them. Several prominent members of the previous O’Neill government lost their seats in the 2017 election and PNC numbers are well below what they were at the end of the last parliament. O’Neill is also likely to be faced with a stronger opposition. Former opposition leader Don Polye appears to have lost his seat, but former deputy opposition leader Sam Basil has been re-elected; former prime minister Sir Mekere Morauta has made a return to parliament; and former attorney general Kerenga Kua has also been returned. Among interesting new members are businessman Allan Bird and well-known blogger Bryan Kramer. Despite several campaigns for the support of women in politics, none of the three women in the last parliament held their seats, leaving the legislature without a female MP. Since 2014, O’Neill has been facing an arrest warrant over accusations that he authorised fraudulent payments of around PGK70 million (AUD$23 million) to legal firm Paraka Lawyers in what has become known as ‘Parakagate’. For almost three years he has staved off arrest through a series of legal manoeuvres. In the process he has gotten rid of two police commissioners and one attorney general; closed down the anti-corruption Investigative Taskforce Sweep, which he set up in 2011; undermined the police National Fraud and Anti-corruption Directorate; and been largely responsible for deepening divisions within the Royal Papua New Guinea constabulary. He was also referred by the Ombudsman Commission to the public prosecutor over a US$1.1 billion loan-raising for which he failed to seek parliamentary approval, but was later cleared by the Supreme Court. And separately, his government made changes to the constitutional provisions regarding votes of no confidence which were later overruled by the Supreme Court. There were calls for O’Neill to step down. A National Disobedience Day was declared by civil society groups, and university students across the country staged a boycott of classes for much of 2016, during which students attempting to organise a protest march were shot at by police. In July 2016, after a fourth attempt to thwart a parliamentary vote of no confidence, the Supreme Court ordered the parliament to reconvene and vote on the motion, ruling that attempts to block the vote were “unprecedented and pose a real threat to parliamentary democracy”. Notwithstanding all this, an O’Neill government has been re-elected and is preparing to face the economic and political challenges ahead. There are still good prospects for continued resource development in Papua New Guinea. And there is substantial goodwill in Australia towards Papua New Guinea. But both these could be squandered if the trends which have became apparent in recent years continue. Postscript: Just after this was written, it was reported that Papua New Guinea’s National Court had lifted the stay order on the arrest warrant against O’Neill, clearing the way for the arrest of the prime minister. Ronald May is an emeritus fellow at the Australian National University. Earlier in his career he was senior economist with the Reserve Bank of Australia, field director of the ANU’s New Guinea Research Unit, and foundation director of what is now the National Research Institute (NRI) in Papua New Guinea. The ANU State Society & Governance in Melanesia program recently published a discussion paper written by Ronald May about Peter O’Neill’s government. It is available here. 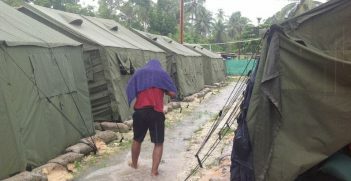 As 2017 draws to a close, Australia's "intractable" refugee question remains unanswered. With Australia's international image—not to mention the refugees themselves—at stake, how much longer can Canberra stall? 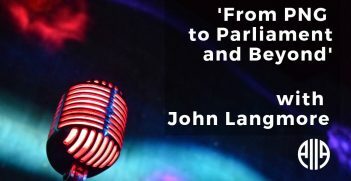 As APEC draws the world's attention to Papua New Guinea, this episode of AIIA VIC’s Dyason House Podcast features John Langmore on working in PNG in the lead-up to independence as well as his subsequent career in Parliament and the United Nations. 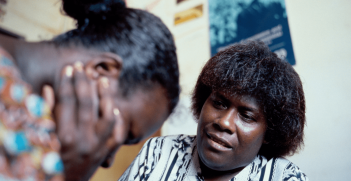 Although Papua New Guinea has made much progress towards resolving issues of domestic violence, more needs to be done.